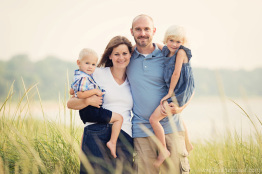 We feel privileged to shoot as many families as we do and each one is a joy to photograph. While our goal is to capture beautiful images we never loose sight of what we’re really documenting which is the love, joy, and connections family members share with one another. Most of our family sessions take place on-location throughout Southwest Michigan but our studio is always available and is a popular place for new-born and toddler pictures! If you’re interested in possibly scheduling a family portrait session for your family please don’t hesitate to contact us, we’d love to hear from you and would be more than happy to answer any of your questions. Thanks for stopping by and enjoy the photos! Courtney Phillips - Hi – my family is staying in Douglas MI 6/22-6/29. Do you service that area? We have 8adults and 4kids. We’d like a disc of photos at the end where we have printing rights. Does this meet your business model? How much are you?